Bicycle touring in Laos brought us back to familiar places because both of us had visited Laos before on separate occasions. This time we would see more of the places in between and some off the beaten path villages. We were reunited with the Mekong and enjoyed the tropical scenery. 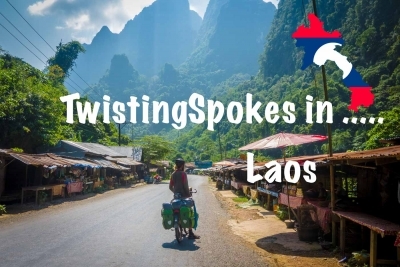 We entered Laos on the 9th of October and left the country on the 16th of November. We have cycled 1021 km and ascended 8776 meters.